Join Ken on this special two day training tour where you will increase your safety and confidence while touring the beautiful Berkshire Hills of Western Mass and Southern Vermont. Rider-to-rider communication is used for real-time coaching. Includes Saturday night stay at the Inn at Norton Hill and Sunday breakfast at Elmer’s in Ashfield, MA , as well as Saturday Dinner.Limited to three participants. Scholarships are available through the BMW/MOA Foundation. Safety course Insurance discounts usually apply. Check with your agent. Note: Do not include destination ZIP in PayPal when ordering. There is no shipping charge for training tours. The tour features lightly traveled roads that wind through bucolic New England scenery. Our route includes various challenges ranging from hairpin turns to long, open sweepers that are suitable for most experience levels. Expect rolling and twisting roads with many blind turns and some rollercoaster hills. We will meet in Ashfield, MA at the quintessentially New England Elmer’s Store. Ashfield is nestled at the base of the Berkshire Hills and is home of peaceful Ashfield Lake, Rockwellesque Ashfield Hardware and birthplace of the famous movie director Cecil B. DeMille. Between days one and two, we will stay just across the street at the newly renovated colonial-era Inn at Norton Hill. * You may choose to stay the night before on your own. Day 1 begins with a breakfast meeting at Elmer’s Store, followed by closed course drills. The rest of the day includes our training tour through the northern Berkshires of Massachusetts and the Southern Green Mountains of Vermont. During our tour we coach you on how to become a safer and more confident rider. First day mileage, not counting drills, is usually 150. In the evening, we will enjoy dinner together just down the road at Elmer’s Store and stay at the Inn on Norton Hill. Day 2 begins back at Elmer’s where we’ll enjoy a delicious breakfast (included) and discuss riding strategies. We will then ride the southern Berkshires loop where students will take turns leading and following through even more curvy rural roads while receiving feedback to help measure progress. At about 4:00 PM and after an average of about 150 miles, the tour ends in Ashfield where we debrief over a beverage before the group heads toward their respective destinations. Dinner and Saturday night stay at the Inn at Norton Hill and Sunday breakfast at Elmer’s in Ashfield, MA . Included in the fee is Saturday night accommodations right next door to Elmer’s at the Inn at Norton Hill. If you want to stay at the Inn Friday night and/or Sunday night on your dime, contact the Inn to reserve a room. If there are no rooms available, click here for a list of local lodging. Since we will be starting and returning to Elmer’s each evening, you can leave your overnight gear either at Elmer’s or at the Inn, so you don’t have to carry it with you. Saturday dinner and Sunday breakfast at at Elmer’s is included. Riding in the Zone is a partner with Stayin’ Safe Advanced Rider Training and shares the same methods for conducting training tours, however some terms and approaches may differ somewhat. No matter. You can rest assured that both Riding in the Zone and Stayin’ Safe are 100% compatible and meet the highest standards of rider training. We will be touring around my little bit of motorcycling heaven in the Berkshire Hills of Western Massachusetts and southern Vermont. The beautiful Berkshire foothills have miles and miles of killer motorcycling roads. Rides will meet at Elmer’s Store in the center of Ashfield, MA. NOTE: There is no cell service in Ashfield to speak of. However, The Inn and Elmer’s have free WiFi. This is what you can expect when riding in the Berkshire Hills. Click here for a list of local lodging. At least one season (3,000 miles) of experience. You must have a current motorcycle endorsement, as well as a legally insured and registered motorcycle. Rain gear. Tours run rain or shine. Enough layers (or electric jacket liner) for cool temperatures. On-Street Training Tours help riders increase confidence and enjoyment in real-world conditions. However, this is not a course for raw beginners! Students are wise to take the MSF Basic RiderCourse or have an equivalent level of skill before signing up. A good guideline is having ridden at least a season (3,000+ miles). Personal one-on-one On-Street Training Tours are available where I can customize a training program based on your skill level that will ensure satisfaction. We will be riding at moderate street speeds and enjoying a street ride through some beautiful countryside with awesome twisty roads. If you want to learn to ride fast in a safe environment, I am available for Track Day Personalized Instruction at Tony’s Track Days. 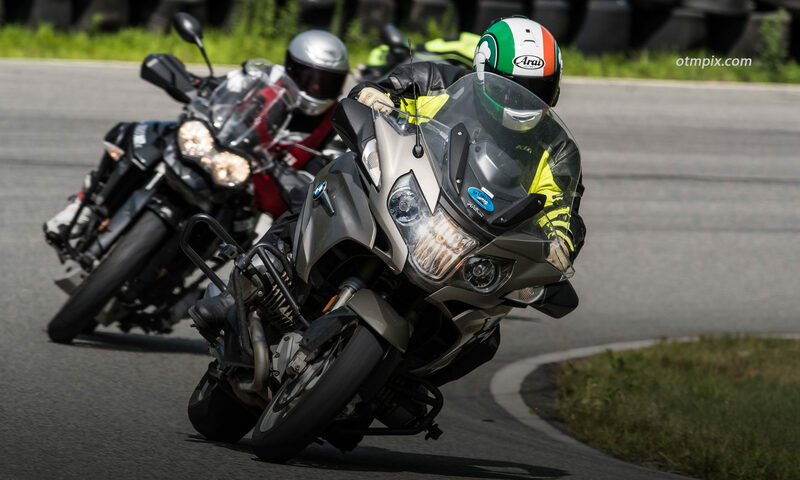 The Riding in the Zone, LLC Motorcyclist Training Program is supported by the American Motorcyclist Association and the Massachusetts Rider Education Program (MREP). Scholarships are available through the BMW/MOA Foundation. Training without lodging or dinner. $100.00 discounted rate available at the Inn at Norton Hill in Ashfield. You pay for your portion of the group dinner on Saturday evening.